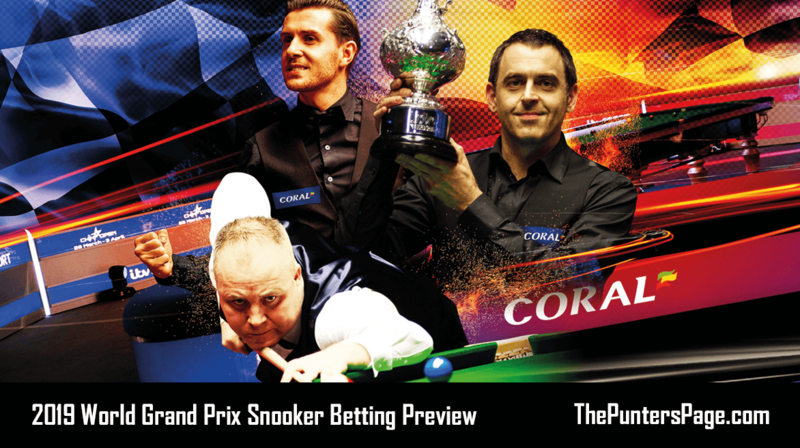 Snooker specialist Craig Edwards (@EdwardsTips_) assesses the Coral World Grand Prix Snooker outright market and provides us with his best bets for this week’s event. The third year of this event in the current format moves into one of the most famous betting venues in the world the Cheltenham Racecourse, which five weeks today holds the unique and hallowed Cheltenham festival. That week in March one hundred thousand people flock to the racecourse and millions more watch on TV, while not the festival this is certainly another attractive event for the town. On the opening night there was a shock as Ronnie O’Sullivan was beat for the first time in thirty-eight first round matches to Hong Kong’s Marco Fu. That really puts the cat amongst the pigeons for the next few days let alone the betting markets. 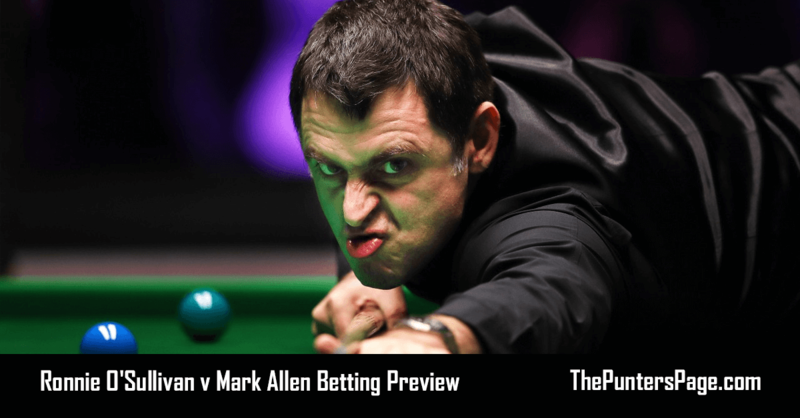 The Irishman Mark Allen the provisional world No1 also had an awkward first one assignment against Gary Wilson but it’s a fact Mark’s level of play improves for getting through opening rounds. Last week’s German Masters finalists Kyren Wilson and David Gilbert require respect at this stage of the season, if fatigue doesn’t kick in they can ride the crest of the wave and the endorphins will do the rest. Neil Robertson and Mark Selby are both close to their best and due good tournaments and let’s not forget how impressive Judd Trump was in winning the Masters only two weeks ago. Hometown boy Jack Lisowski has lost a little form lately after a red hot start to the season but this could be all the talented left hander needs to ignite his fire. There will be no easy matches with the elite top 32 competing that we do know. With Ronnie O’Sullivan losing on the opening night it creates value in his quarter in particular for Kyren Wilson who had a poor record versus the “Rocket”. 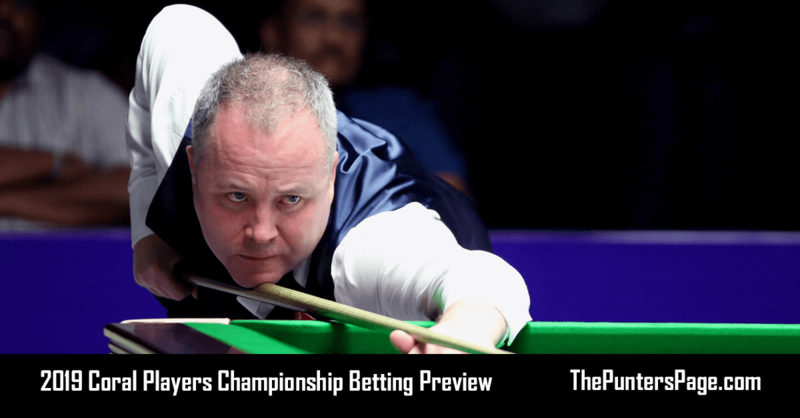 With a couple of days rest after his impressive demolition in the German Masters this most highly dedicated of professionals will be back on his metal knowing this is a great chance to win his third ranking title of the season and his first one on home soil. ITV4 previous tournament this year Kyren was a very unlucky runner up and with no Rocket this time to worry about the Welshman will fancy his chances. Quarter two looks wide open and I like Stephen Maguire’s chances now he has taken a coach for the first time in his career. Chris Small’s name will be familiar to snooker followers as the winner of the 2002 LG cup beating Ronnie O’Sullivan and John Higgins in the process. 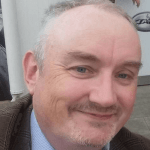 Chris sadly ended his career only three years later with the spinal condition ankylosing spondylitis. 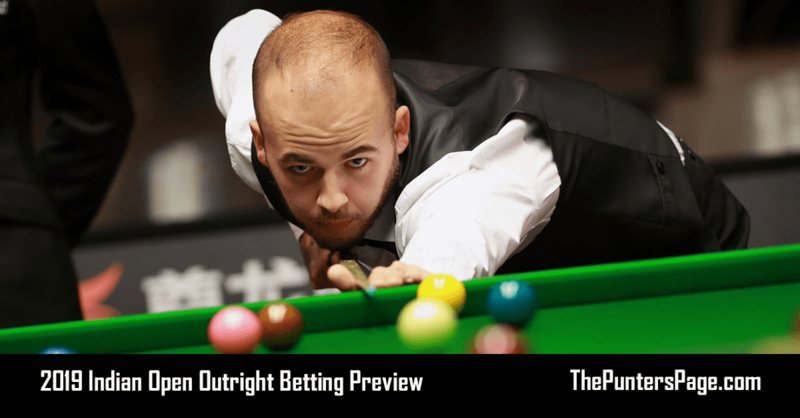 I remember playing Chris myself and he was one hard competitor so I expect him to be a hard task master which will be exactly what Stephen Maguire needs. I really like the Glaswegians draw with Mark Williams who he beat in December’s UK Championship and Neil Robertson who he has good head to head against being the prominent two seeds.